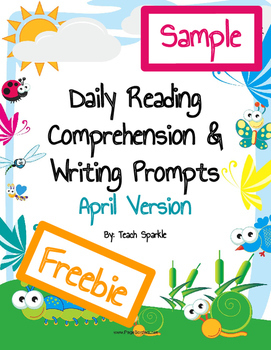 This freebie is a sample of my Reading Comprehension and Writing Prompts for April. 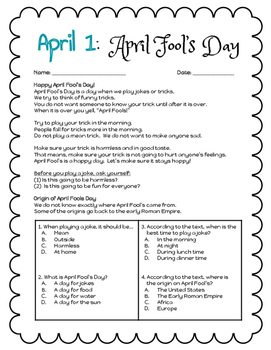 You can use these for literacy centers, guided reading, mini lessons, reading response, morning work, reading response practice, etc. If you like this sample, please check out the full version at my TPT Store: Teach Sparkle. 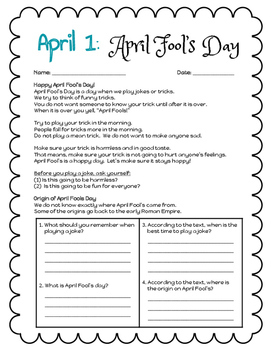 The full version includes over 140 pages for the entire month of April. Everything is ready and prepared for you! Each day has a story. Each story has two versions. The blue version is an easier version of the text. The orange version is a more difficult version of the text. 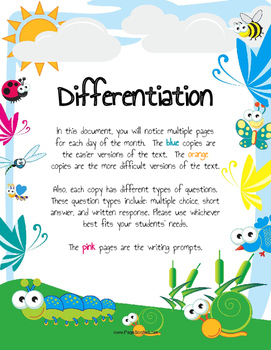 This differentiation will help you meet the diverse needs of your students.